"2400 N Lakeview is a favorite of architecture enthusiasts given it was designed by Mies van der Rohe. The building also had a small scene in the movie "What Women Want" as the home of the film's lead character." 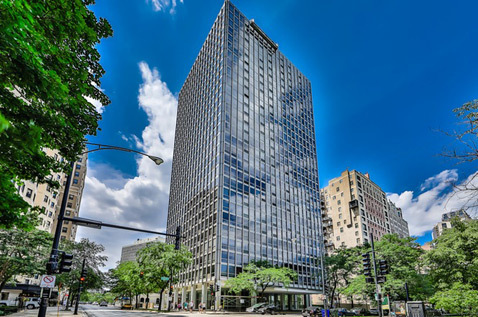 2400 North Lakeview was designed by renowned Chicago architect Mies van der Rohe. The building offers full amenities and studio to 3 bedroom units located directly across from Lincoln Park. 2400 N Lakeview was built in 1964 and was the architect's last residential building in Chicago. The building has also been featured in the move What Women Want with Mel Gibson.